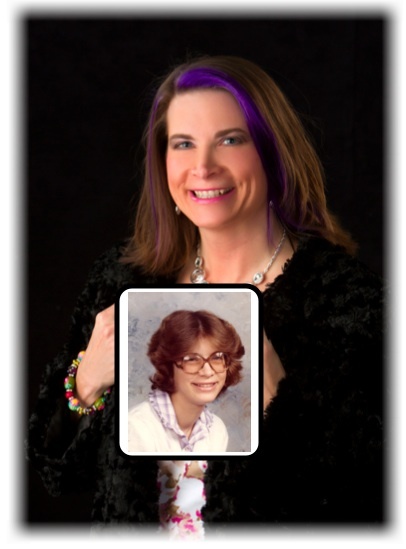 When I was in Junior High School (early 1980’s) I was sporting BIG glasses and was, of course called, “Four Eyes.” I was also a late bloomer, thus teased for looking like a boy. I was growing my hair out because before that time, my mother always insisted on cutting my hair short, and I looked much like my brother! I am so happy now (at 45) with who I am, and that I am becoming the woman God wants me to be. I am so thankful that no matter where we are in our lives, He always gives us HOPE!!! My two cents: never, Never, NEVER give up!!! AND I would not be who I am today without having gone through those “awkward years!” Thank you for doing this project!